Here's an update on the current project. 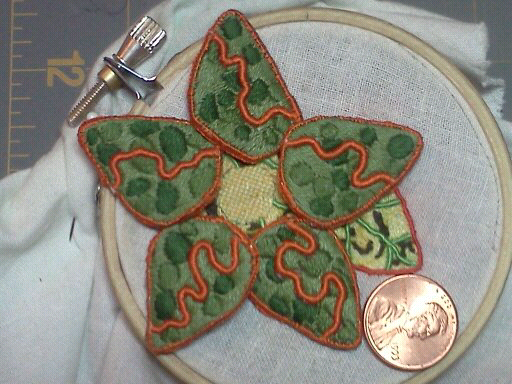 The outer petals, and leaves are done. Tonight I'll be setting up for the inner petals. I'll be working those over wire, using detached buttonhole, and gold thread. Have fun, and I'll post again tomorrow.